When I first moved over to Poland, I don’t remember karaoke being that big a deal. But over the years more and more bars seem to be opening up their floor to the public and letting them get up to do a turn on the microphone. Don’t get me wrong, I’m a huge music fan and love a sing-song, but the idea of standing up in front of a room full of people to make a fool of myself does not appeal to me! Likewise, watching a random stranger murder one of my favourite tunes is just as unappealing. 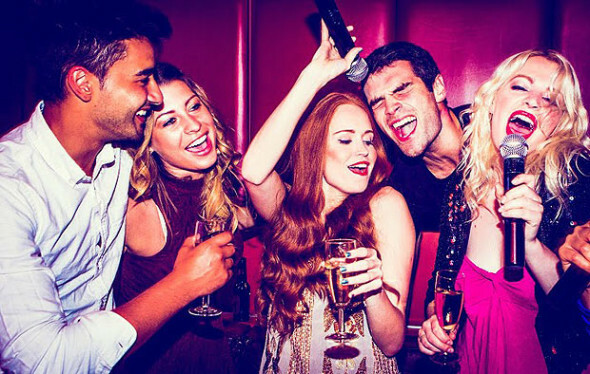 Imagine my surprise then to find myself at a recent house party where a karaoke machine was the main source of entertainment – and actually having fun! Everyone was required to sing at least once and I found that after overcoming my initial shyness, I kept grabbing the mic to do more and more. The crowd loved it (I hope!) and I will definitely be investing in one in the near future.